Olympic officials say an Egyptian judo athlete has been reprimanded and sent home after refusing to shake his Israeli opponent's hand. 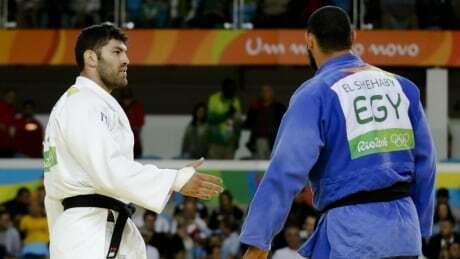 Canada’s Kyle Reyes fell to an early exit in Judo’s 100kg men’s after a quick defeat to two-time Olympic medallist Henk Grol of the Netherlands. Canadian judoka Kelita Zupancic saw her Olympic medal dreams quashed by a very narrow margin in Rio de Janeiro on Wednesday. 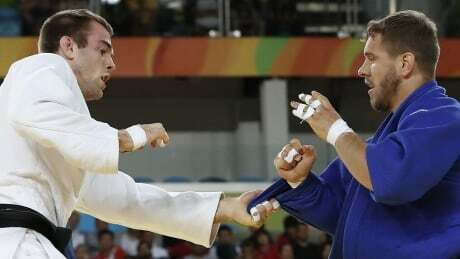 Antoine Valois-Fortier lost in the quarter-finals for Canada in the men's under-81 kilogram judo division at the 2016 Summer Olympics, but his Olympic dreams are still alive. Arthur Margelidon will miss the Olympic judo tournament in Rio de Janeiro with a broken radial bone. The the 22-year-old from Montreal had been named to the Canadian Olympic judo team to compete in the men's under-73-kilogram division. Antoine Valois-Fortier and Catherine Beauchemin-Pinard will lead the Canadian judo team into Rio. You are currently browsing the archives for the Sports/Olympics/Rio Olympic 2016/Judo category.